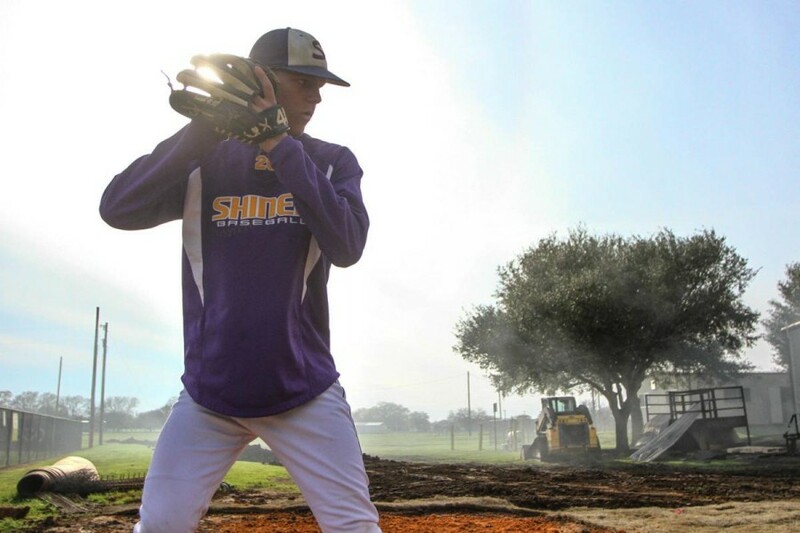 Shiner’s starting pitcher, Hunter Kloesel, warms up before the top of the fourth inning during Tuesday night’s (March 5, 2019) District 28- 2A game against Flatonia at Green-Dickson Park in Shiner. 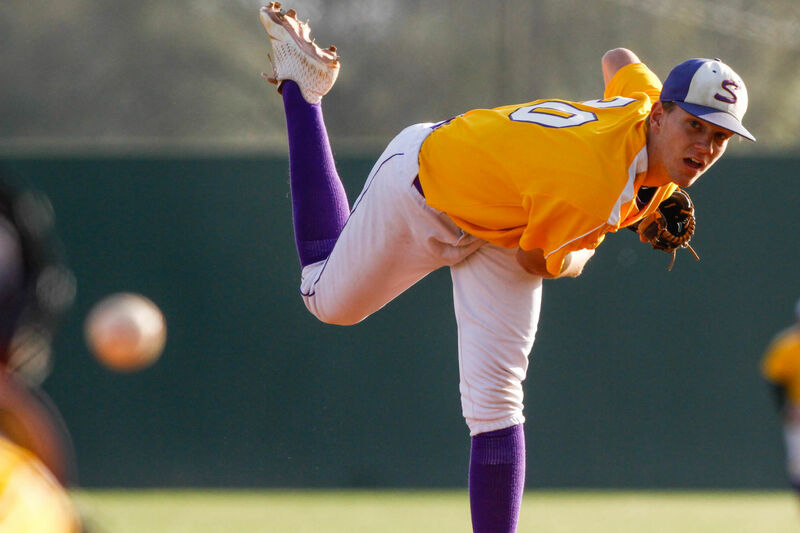 SHINER – The temperatures were in the 40s when Hunter Kloesel took the mound for Shiner’s District 28-2A opener. But Kloesel was more concerned with the Flatonia hitters than the weather. Kloesel pitched a no-hitter to lead the Comanches (2-2) to a 2-0 win over the Bulldogs (0-6) on Tuesday evening at Green-Dickson Park. 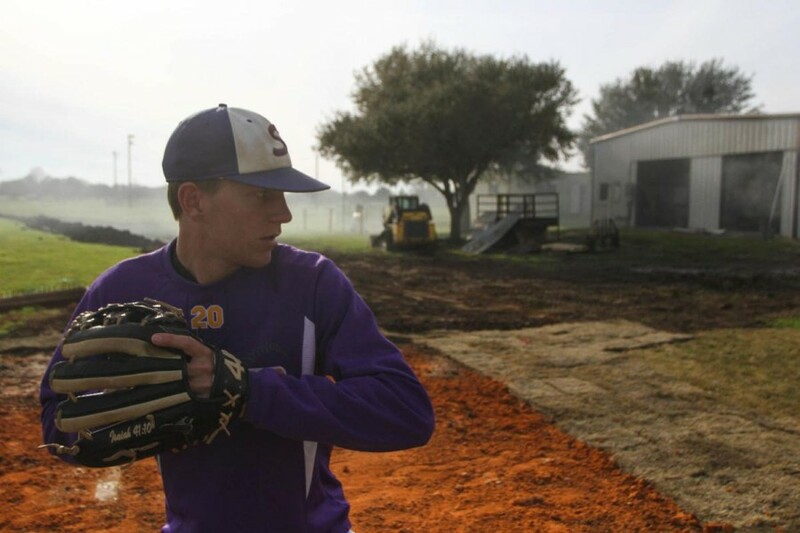 Shiner’s starting pitcher, Hunter Kloesel, warms up before Tuesday night’s (March 5, 2019) District 28-2A game against Flatonia at Green-Dickson Park in Shiner. Kloesel struck out 16, walked only one and pitched around two errors. Kloesel struck out 10 of the first 11 hitters he faced and struck out the side in four innings. Six of his strikeouts came on called third strikes. Kloesel had two of the Comanches’ four hits against Flatonia pitcher Matthew Ponewash. But the Bulldogs committed seven errors, and both of Shiner’s runs were unearned. But Kloesel made sure the lack of offense wasn’t an issue. W: Hunter Kloesel. 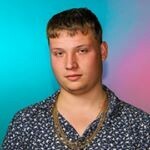 L: Matthew Ponewash. (Flatonia) Ponewash 6 IP, 4 H, 0 ER, 2 BB, 8 SO. (Shiner) Kloesel 7 IP, 0 H, 0 R, 1 BB, 16 SO, 2-for-3; Cole Patek 1-for-2, R; Cross Rankin 1-for-2. 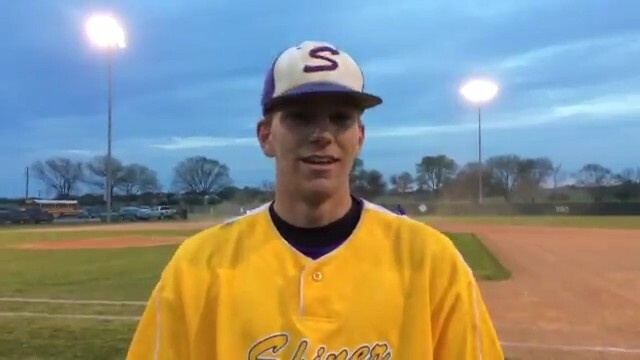 Records: Flatonia 0-6, 0-1; Shiner 2-2, 1-0.
click here to watch Mike Forman's Twitter video interview. 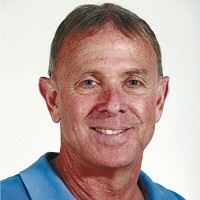 Mike Forman is the Sports Editor for the Victoria Advocate. Charlie Blalock is a multimedia intern at the Victoria Advocate.